So, here we are again. 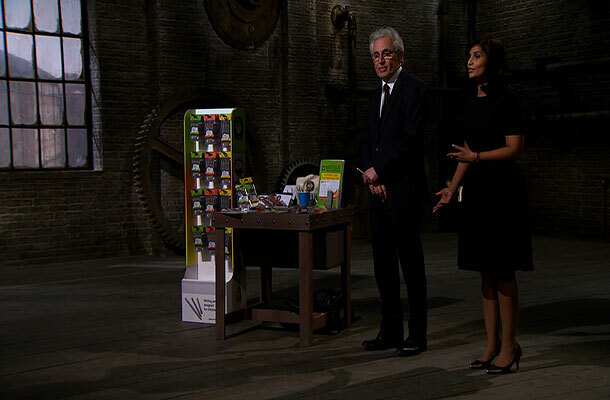 I’m convinced that a new series of Dragons’ Den comes around more than once a year. But I’m not complaining. I couldn’t wait to get into tonight’s Series 14 premiere and find out what delights (or disasters) the Dragons would be faced with. Luckily, tonight’s opener was full of things that I like – alcohol and stationery (I promise you that’s no joke. I’m partial to a nice hardback notebook or sturdy paper clip). But the product that really caught my eye was the Boot Buddy. If you’re a regular reader of our IPO blog, you’ll know that last month I made my annual pilgrimage to the famously muddy Glastonbury Festival. Never mind selling the Boot Buddy to football players, they could clean up on the festival scene by marketing to music-lovers across the country. Of course, it wasn’t just the product itself that made my ears prick up. It was the confession that almost £150k had been spent on protecting the invention’s IP. With gasps and open-mouthed bewilderment circulating around the Den, I think it’s safe to say that my reaction mirrored that of the Dragons perfectly! The fact that the team behind the Boot Buddy – Mum, Rashpal Dhillon and her sons Arminder and Gurminder – had protected their IP should be praised. A quick online check shows the company has registered trade marks, registered designs and patent applications. But working with SMEs and entrepreneurs, one of the most common misconceptions I see is that IP is expensive. Anyone watching the Den drama unfold tonight would probably be inclined to agree. Yet it doesn’t always have to be the case. That’s an enormous amount of money to have spent on something quite simple…you could have done it for a hell of a lot less. It’s understandable that, like Rashpal, you’ll want to protect your products and brands as best you can. But did you know that some IP is free and you can register it from as little as £60? It’s true! Just don’t scrimp on patents. Applications are complex and you should always get advice from a patent or IP attorney. Their fees can be costly but it’s worth the expense, as long as you’re sure your innovation will repay its cost in the long run. Den duo Ross Williams and Surlender Pendress had the right idea with their children’s stationary business, Writesize. Having trade marked the name in just one class, the application could have cost them just £170. For this fee, they know that they (in the loosest of terms) own the right exclusively to use that name for pens and pencils in the UK. If you’re unsure what IP your business has or which IP right would be the perfect partner to your innovation, try IP Equip. The tools short modules can be completed in just 20 mins – perfect for in between meetings or those boring train journeys. What’s more, it’s free! Despite the jaw-dropping IP revelation, they managed to leave the Den £60k richer. Peter Jones, Deborah Meaden and Touker Suleyman all recognised the potential in the invention and its 15-year-old inventor. Of course, Deborah is no stranger to helping young innovators achieve huge success – remember Jordan Daykin and GripIt Fixings? So I’m sure that with 3 dragons on board the Boot Buddy will be sweeping off the shelves in no time.